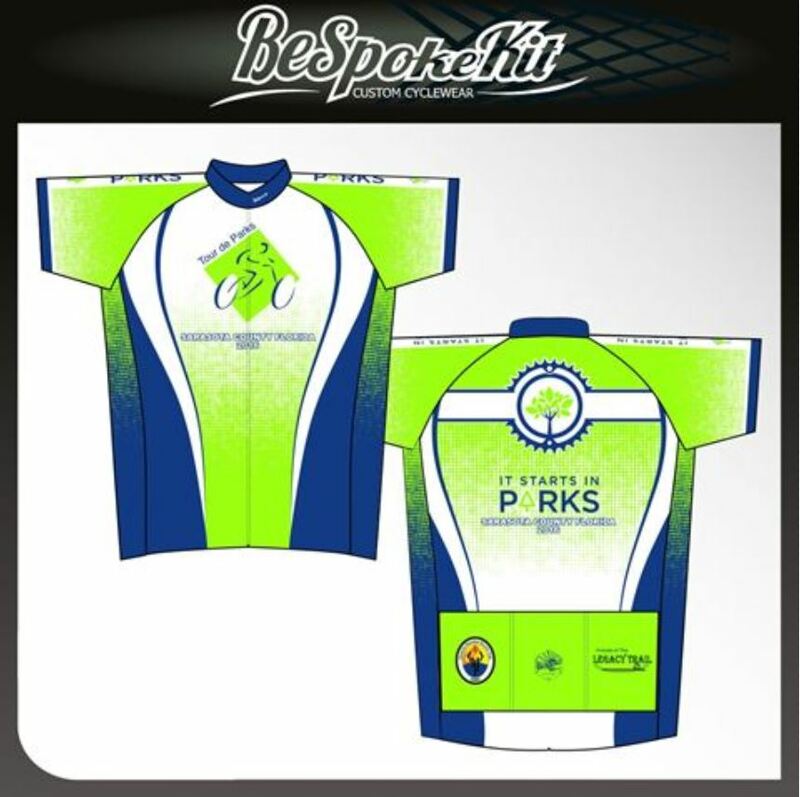 BespokeKit has designed special bicycle jerseys for the 2016 Tour de Parks. For each sale, BespokeKit will donate 10% of the purchase price to Friends of The Legacy Trail. Click here for more information and to purchase one of these jerseys from their web site.